The seaside location and the access to herring and stone characterised Lysekil from the beginning, as it still does today’s trade and industry. The municipality offers a modern and ice-free industrial port with a big capacity and high flexibility. The proximity to the ice-free deep-water port of Brofjorden is also the reason why Preemraff, Scandinavia’s largest and one of Europe’s most modern oil refineries, is based here. The small-scale coastal fishing is an active sector, as is mussels and oyster farming. The seaside location provides good possibilities for tourism, for instance in the form of boat trips, boat charters, kayaking and diving. Also in the future, the sea will provide an important resource for the development of trade and industry in Lysekil, amongst others through wave power based energy generation. 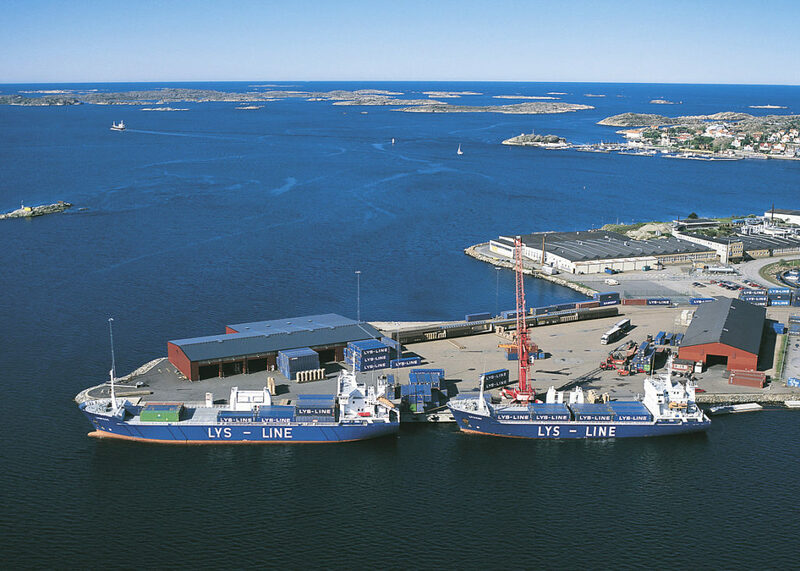 Lysekil’s municipality is actively working with further development of marine applications, in close cooperation with research institutes and trade and industry. Apart from sea-based activities, several large manufacturing and processing industries are based here. Quarrying is still a very active branch. Gullmaren is one of three fjords that surround the Lysekil municipality. It’s Sweden’s only threshold fjord with unique animal and plant species, and it’s of enormous importance for marine research and development. That’s why several research stations and institutes have their base here. The most prominent one is the Kristineberg’s Research Centre, which is part of the Sven Lovén Centre of the Gothenburg University. The Uppsala University has since 2002 had research facilities for wave power in the coastal band outside Lysekil. Here, technical solutions are tested and studies are conducted as to how wave power plants affect the environment and organisms that live in it. The Campus Väst offers training programmes that are tailor-made to the needs of local trade and industry, and at the new upper secondary school, Gullmarsgymnasiet, courses include marine biology and a natural resource programme with a marine orientation. At the technical college, vocational training programmes are available that are set-up to fit trade and industry’s requirements. Several alternatives are available to those who are looking for land or commercial spaces. Those who are interested can search www.lokalguiden.se or contact the municipality’s business coach for personal assistance in finding solutions that meet their needs. The centre for trade and industry provides the core for the cooperation between trade and industry, the municipality and Lysekil’s inhabitants. It’s a non-profit association who’s objective it is to further develop ”A Lysekil to be proud of”. Lysekil is one of seven municipalities in West Sweden that take part in the cooperation project ”Fishing municipalities”. The objective is that municipalities can support fishery in a more effective way, and to stimulate cooperation between businesses. Its location at the Skagerrak provides the municipality with a possibility for offering extremely attractive housing. There’s a diverse range available; single-family home plots with a sea view, apartments in any of the central towns, or farmsteads. The choice is yours. Lysekil is a town of many events. Regattas, big music events, running competitions, sing-alongs in the park and various cultural events take place throughout the entire year. Here you also find the sea aquarium Havets Hus with species from the Gullmar Fjord and the Skagerrak. In the summer, Havets Hus organises amongst others underwater- and elk safaris. Lysekil offers an attractive natural and cultural environment with beautiful areas for walks in the country, and lovely beaches. The municipality is also renowned as an Eldorado for mountain climbers, divers, and sea kayaking. Lysekil’s municipality can be proud of its rock carvings, which are amongst the most interesting in the country. These petroglyphs can be found in Backa, outside of Brastad. This wealth of rock carvings along the village road has given rise to the name Via Sacra – the Holy Road.